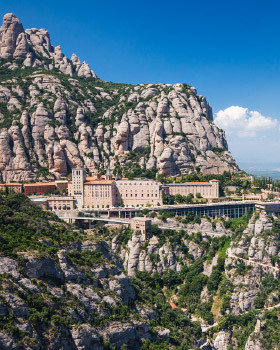 Start your half day trip from Barcelona in comfortable Bus to the mountain of Montserrat which rises majestically to 4,051 feet (1,236 meters). The rocks of Montserrat formed by natural cement of sand during the centuries affected by the wind and rain. 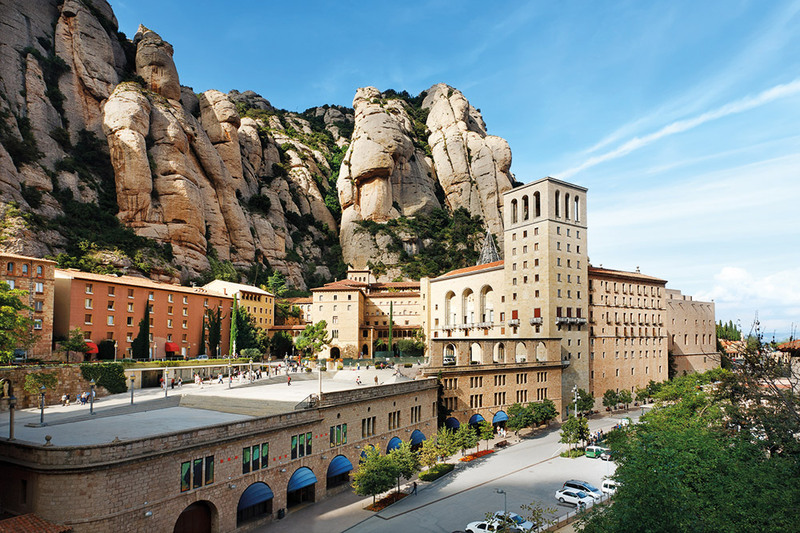 You will visit the Royal Basilica of Montserrat, which holds the famous 12th century Romanesque carving of Virgen Moreneta.The Benedict sanctuary of Montserrat was founded in 1025 and provides a mystical backdrop for the Virgin of Montserrat, the patron saint of Catalonia who is enshrined in the monastery’s Royal Basilica. Correct dress code may be requested for entrance to Montserrat.